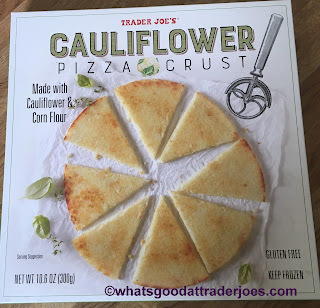 This looks interesting and as soon as my trader Joe's get this in stock I am hoping to try it. 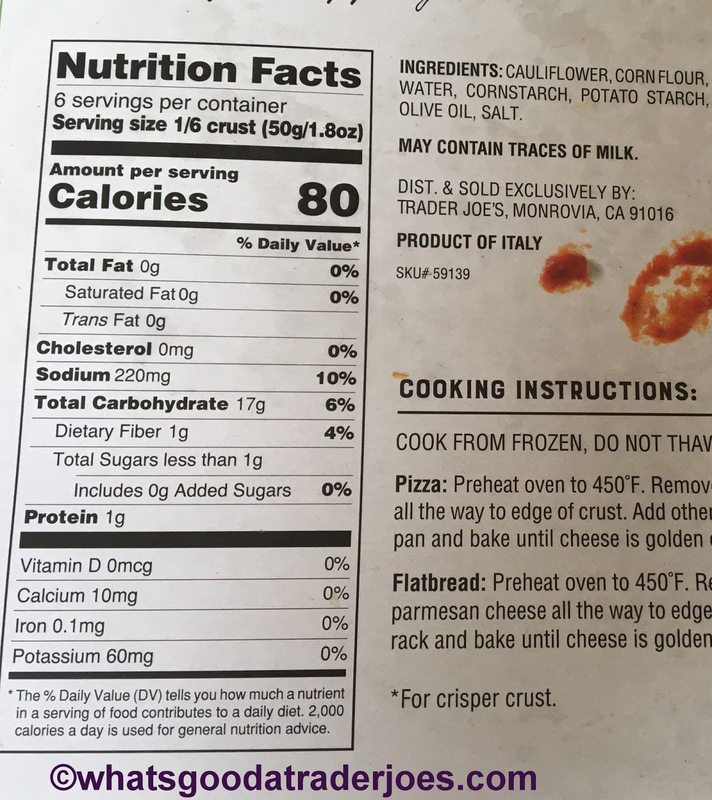 How does the size of this product differ from the Organic Pizza crust? I know that the ounces are different...but if you have a visual that would be great! I was unable to find it at my local TJ's. One of the managers told me that they had to pull it off the shelves (freezer) because there was some error with the directions printed on the package. Once they fix it, it will be available again. I can't wait to give it a try! The first time I made this it was absolutely disgusting. It tasted like a bad polenta and it was super soggy. I decided to do away with the instructions on the back and give it one more try. I baked the crust alone on the toaster oven rack at 450F for 20 minutes. Then I put in on broil for 3 minutes. After I saw that the crust was firm I topped it with sauce, cheese and the meatless ground beef from Trader Joe's and baked it at 450 for another 10 minutes. The results were amazing!! The crust was crispy and delicious with a nice amount of chew to it. I bought one last night but haven't tried it yet. 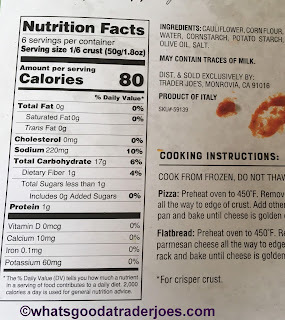 At our store they were putting stickers with new instructions over the instructions printed on the box--the clerk told me that the stickers had come from TJ's headquarters because they needed to fix the instructions that produced bad results. 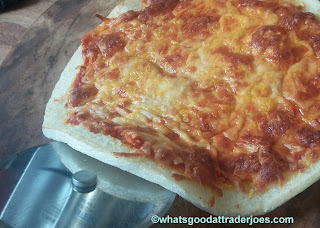 Oh, personally I didn't find it more flippety-floppety than the average pizza doughs I use or make. I don't think something like a grill smoker would work; somehow, it feels like that would force out naturally-occurring oils, and thus may be leaving a strange residue. We baked ours for longer than the instructions suggested, with most of the toppings already on. All were pleased. 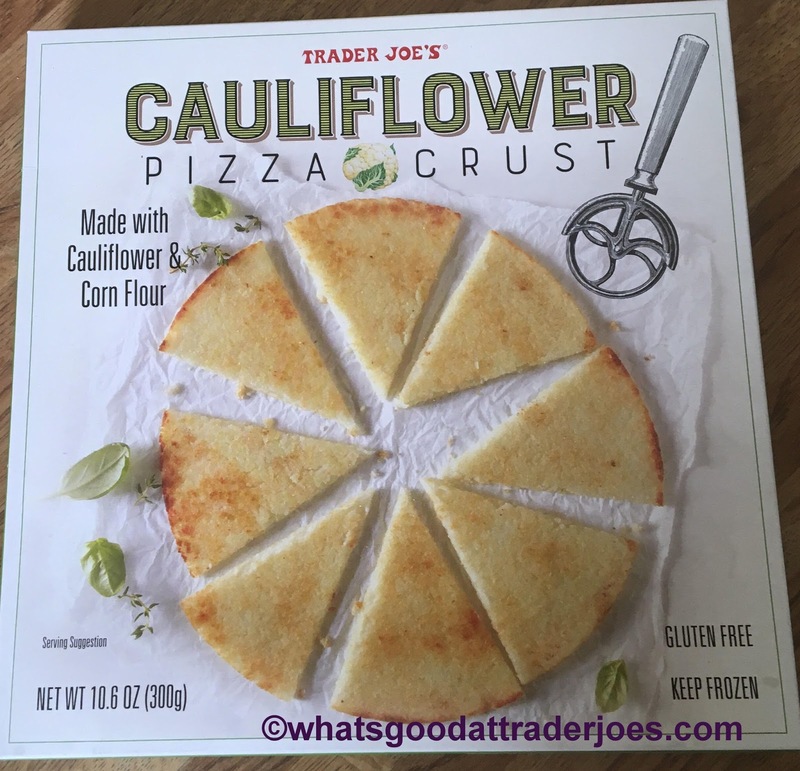 It definitely doesn't taste like bread- it's almost entirely comprised of cauliflower, after all- but it didn't do anything to take away from all the otherwise classic pizza flavors. Made this tonight. Put it directly in the oven. spilled everywhere. super floppy. wouldn't buy again. I've made my own, much better. Final comment- didn't like it all didn't like the texture - the regular crust was much better!